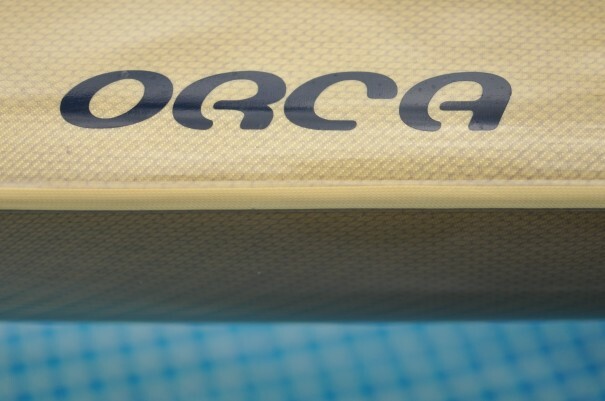 I’m so excited … Just got my brand new surfski and this is how it looks … It is a Vajda Orca built in Kevlar with carbon fiber reinforcements at the rudder, the bow and bailer. 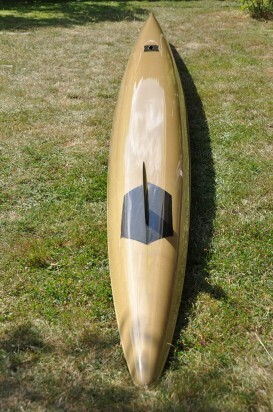 What a beautiful surfski! If you live in Sweden, contact Christian Dietz at Bootshaus. Otherwise you will find more information on Vajda’s website. I am a tall guy, I am 196 cm and rather heavy with my 106 kg. So there are not so many skis left when you start exploring the surfski brands and models of the world. 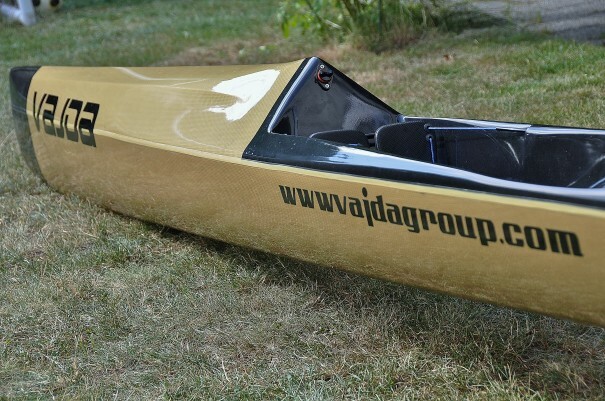 I have previosly owned a Epic V12, a Fenn Mako6, a Zedtech Dominator and a Fusion surfski from Nordic Kayaks. 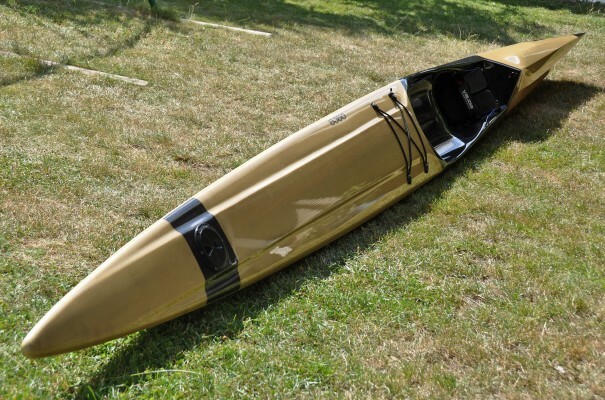 I almost bought a Nelo Vintage, big enough for me, but way to tippy. There are two more skis I really like, the Red7 Pro70, and finally the Stellar Elite Low Volume (SEL). Oh, I almost forgot! I went out paddling in a Epic V8 a couple of weeks ago – wow, what a ski… The V8 must be the “No1 allround surfski” in the world! I loved it! I think I will chose the V8 when I turn 50, that would be in 2114. …do you fit the seat and still can rotate hips? …does it really weigh 8 kg as it says at homepage? Yes, I fit in the seat… No problem at all. I think it is a tiny bit wider than the V10, and it really feels like a nice ski with superb comfort. I guess my ski is 9,5 kg, and I think it is needed, if they went lighter the hull of the ski wouldnt be stiff anymore… Se you in Varberg Ola! 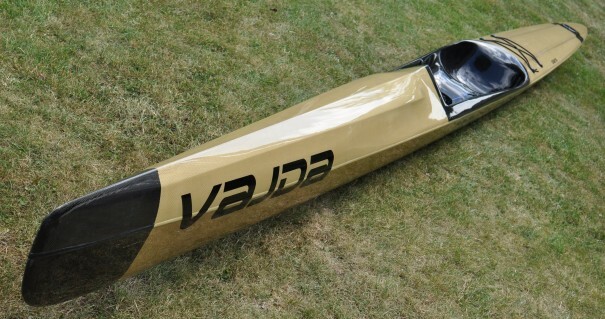 I’m beginning to see a familiar theme with this ski: It fits BIG people very well.Also sounds like the leg drive is quite good in this design.Will be interesting to see what you think of its flat water top speed compared to the V12.Please give us a full report when you have had more time in the boat.Beautiful ski! Thanks for the excellent photographs. Beautiful ski! You say the seat is a bit wider than the V10. How would you compare the seat to the V12? 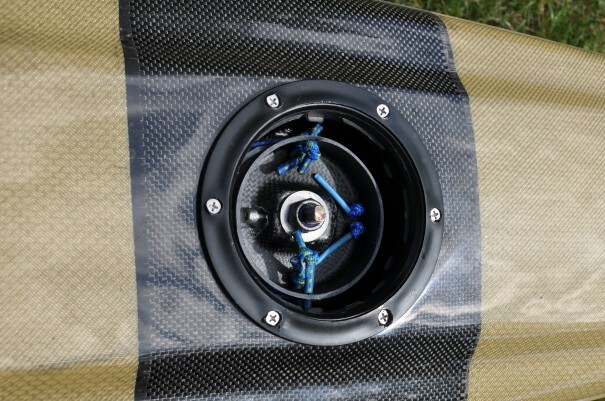 Also curious as to the stability level, surfing ability, ease of remount, and speed in comparison to the V12 (I’ve paddled a V12 for over a year now)? I like the V12’s secondary stability but its quite a twitchy ski and seems to dance around a lot, so I’m hoping to find something with a little more stability and better surfing feel. 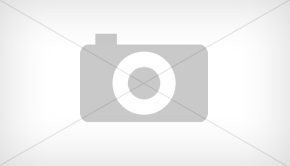 Hi Mark, I have seen in a couple of forums that you own a Nelo Vintage Surf Ski. 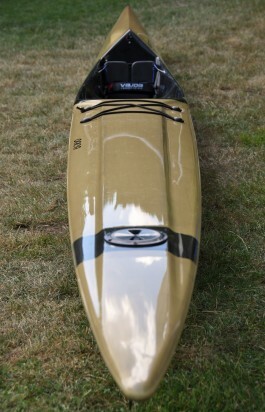 I am wanting to get rid of my Epic V10 and was thinking about the Nelo Vintage but worried about the stability. I dont want to go to something more unstable. I used to own a Think UNO and like the seat position and volume of the boat and was hoping the Nelo would be similar but more stable. I am only 70kgs so wanting a smaller volume ski with good seat position. Sorry, just saw your post so you may already have your answer. 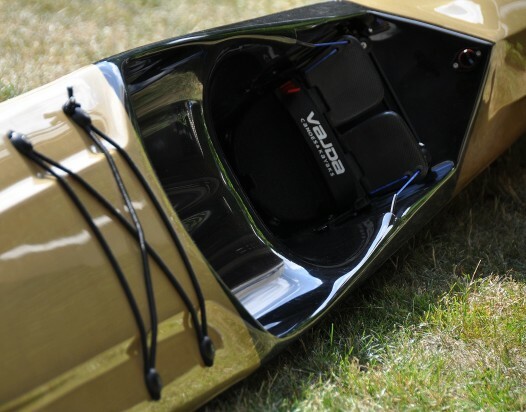 The short answer is that the Nelo Vintage is less stable than a V10 or V12. 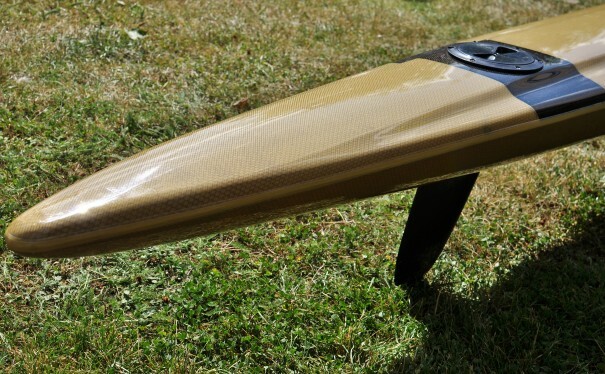 I’ve not paddled an Uno, but I seriously doubt the Nelo is more stable. 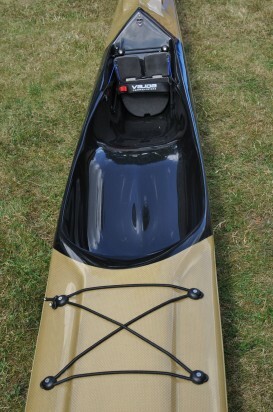 That said, the Nelo has a superbe paddling position and I find it faster than say a V12 in my average hands. It also surfs pretty well once you get used to it. Unlike the V12/V10, it’s not twitchy at all and the primary stability is decent. The secondary however is less than any of the other skis I’ve owned. 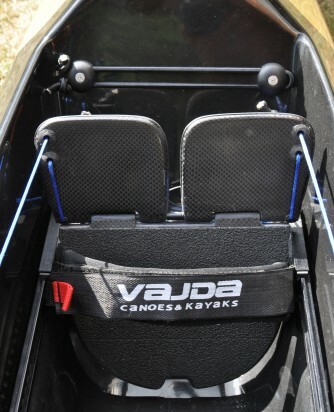 My biggest issue with the Nelo was that the footplate did not extend to the floor of the footwell, rather it ended some 3-4cm from it, so there was a gap and my heels had no contact point, making the ski even less stable. Nelo custom made me a full length plate and it made a world of difference for me. I do find it more difficult to remount than other skis I’ve owned mostly b/c of the lack of secondary stability and also b/c your backside doesn’t automatically slide into the bucket (I suspect due to the angled back end of the bucket and the very shallow hump). The rudder lines also slip a bit at the pedals but I found that a zip tie behind the pedal fixed that. My understanding is that Nelo is updating the design slightly for 2012 and maybe they’re addressing some of this?? I’d be interested to try an updated one for comparison b/c even though it has a lot of little issues, I really really like the ski. Hope this helps. 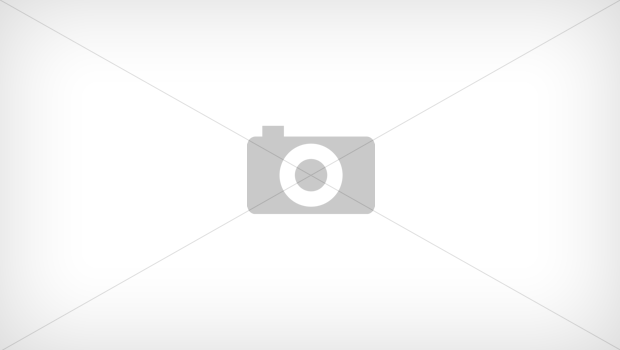 Hi I live in Camps Bay, Cape Town … experienced paddler 2.0m tall – 98kg. My Fenn Millenium is 12 years old now and getting leaky through the skin. Any suggestions for a new ski with good leg length?